Emergencies, accidents, and illnesses are unfortunate facts of life, but how many of us plan for the unthinkable before it happens? What would you do if your pet were suddenly sick or injured? Do you have a plan? Do you know where to go for help if your pet needs critical care or had to be hospitalized? We understand how upsetting it is when your pet is sick or injured. We also know that when your pet is hospitalized and needs critical care services, you want the very best level of care possible. For these reasons, we offer emergency and critical care veterinary medical services for our existing clients. 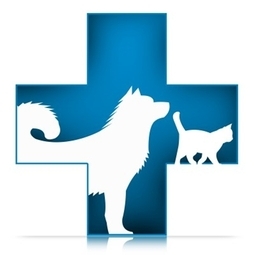 Our expert health care team is staffed with caring, compassionate, highly skilled professionals who are dedicated to providing quality care for your pet. Your pet is a special member of your family and provides you with companionship, entertainment, and unconditional love. But your pet relies on you for daily needs such as food, shelter, safety and to take care of things when they go wrong. Our expert emergency and critical care professionals will be there for you when you need us. Even after our office closes, our Veterinarians and technical support staff are always on-call with the expertise to respond to emergency calls and critical care situations. Rest assured, if you ever have an emergency with your pet, there is quality veterinary help nearby. Help is only a phone call away. Keep our phone number with your other emergency numbers, and call us any time. After hours, weekends and holidays, you will have the option to choose # 3 to be forwarded to our answering service. Be sure to give them your name (please spell it too), phone number and a description of your issue. They will page our on-call Veterinarian, who will return your call as soon as possible.